Bruges is a quaint medieval city located in the north west of Belgium. The city centre was granted UNESCO world heritage site in 2000 and is pretty special with it’s narrow cobbled streets and large squares. With the city being just over a 3-hour train journey from Amsterdam or even better, a mere 1 hour 20 minutes from Brussels, you should really make this a stop on your European trip. Often deemed as the ‘Venice of the North’, I can now see why, with lots of beautiful canals running through the city and bustling cafes to enjoy a glass of wine, eat some nice gluten free food (yes, really!) and watch the world go by. In terms of gluten free eating, I can recommend Bruges as having a fair few restaurants that cater for someone that is following a gluten free diet, which is great news for me and other coeliacs who are thinking of going to Bruges! 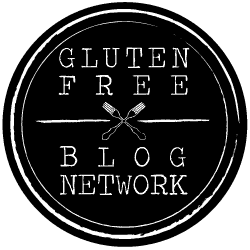 I had no problems in any of the restaurants that I visited in finding gluten free food it was either already clearly labelled on the menu, or by informing the waiter of my allergy and asking them to inform me what foods are gluten free. Reliva, Goezeputstraat 6, Bruges 8000, Belgium. This restaurant serves delicious European fayre. They seemed to be very aware of dietary choices and are very vegetarian, vegan and gluten free food-friendly, with the gluten free food being highlighted on the menu. They also had a very good wine menu too. Quite expensive but worth it as the food, including my gluten free meal, was delectable. Marieke Van Brugghe, Mariastraat 17, Bruges 8000, Belgium. I had a very tasty dinner here on my last night. I told the waiting staff about my gluten allergy and they took their time to explain to me what I could and could not eat on the menu, as a coeliac. They also explained to me the dishes that they could amend to make it gluten free for me. The restaurant had a really nice, authentically Belgian ambience and this combined with the really yummy gluten free food it was a real winner! Gingerbread Bagel & Coffee House, Sint-Amandsstraat 29, Bruges 8000, Belgium. Cute little tearooms that serve coffees, salads and cakes. I always get excited when I have a good gluten free cake in a restaurant and this was particularly memorable. They also have gluten free bread on offer which I had with a delicious salad. I’d recommend this place for a great gluten free lunch in a cute tearoom setting. Belgium is world famous for its chocolate shops and Bruges is no exception. Chocolate shops are found around every corner, and as a gluten free traveller with a sweet tooth, this was very well received! As a coeliac, chocolates are always a go-to dessert and having so many varieties on offer was gluten free heaven! Make sure to ask the chocolate shop workers which chocolates that they sell are gluten free, in most instances for me their English was perfect and they were very happy to tell me which ones I could eat as a coeliac. They also were very ready to give out free samples, so go chocolate shopping on an empty stomach to really enjoy! So to travel to Bruges as a gluten free traveller or not? The answer is yes, Bruges should definitely be a stop on your gluten free travels. A romantic city like no other, with lots of chocolate and gluten free food on offer, what’s not to love? !